Discussion in 'Bankruptcy Law' started by Rachel B., Feb 12, 2019. I started to lease a new vehicle in January 2016, had to file chapter 13 in April of 2016. I kept the vehicle and My lease payments were included in my monthly payments to the trustee. My bankruptcy was officially discharged in May of 2018. Since then I have continued making the payments on my leased vehicle . My lease will be up in March and I will have significant over mileage and wear and tear fees (greater than $10 K). I started to panics because I definitely do not have this money and to roll it into a new vehicle would result in me needed to make a large down payment. I contacted GM financial who the lease was thru and they told me that since the vehicle was included in the bankruptcy I could just turn the vehicle in and walk away from it not being responsible for any of the additional fees. Does this sound accurate?? I was concerned that these fees counted as new post petition debt and that I am responsible for them since my bankruptcy was discharged. It just sounds too good to be true and I don’t want to get myself into any trouble . Yes, you can return the vehicle to GM and owe them NOTHING. Did you choose NOT to reaffirm the GM lease debt? If you didn't reaffirm the lease/debt, you can call the lender TODAY and ask them to arrange with you the surrender of the vehicle. If you wait for March to do that, you might occur other costs. If you had a lawyer for the BK, I suggest you confirm EVERYTHING you do with YOUR lawyer. Only your lawyer knows everything about your case. If you did the BK "pro se", you know everything about the case. 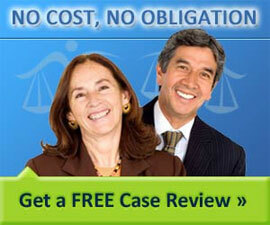 If you didn't reaffirm the lease, or request to do so of the judge, the debt is erased. However, keeping the car until March could cause you issues, which is why you give GM notice today and arrange to surrender the vehicle to the authorized GM dealer. I did note that the discharge occurred over a year ago. That might cost you, mate, unless GM is lazy. You'll be most surprised how easy a new car purchase will be, but a lease is probably off the table for the foreseeable future. Is reaffirming the debt the same as consumption of the lease? I called my lawyer and could only speak with the legal assistant and she said there was no “consumption of the lease “ on file . When a person files a bankruptcy petition, the automatic stay stops all collection actions, including efforts by a car lessor to repossess a leased car. If you were behind on your car lease payments when you file for Chapter 7 bankruptcy, your car lessor COULD ask the court to lift (end) the automatic stay to repossess the vehicle. Did that occur in your case? If you are leasing a car, truck, van, or another motor vehicle when you file for Chapter 7 bankruptcy, you have two options for the car lease: You can assume the lease (continue with it) or reject the lease (terminate it). The option you choose determines whether you can keep using the car and whether you will be liable for lease payments, excess mileage, or other penalties after the bankruptcy. Assuming the lease on the Statement of Intention lets the creditor know that you intend to keep the leased vehicle and will continue to make timely payments until the lease expires. By doing so, you agree to the terms of the initial lease. When the lease expires, the dealer can charge you fees for excess mileage or damage to the vehicle, as if you hadn’t filed bankruptcy at all. Similarly, if you fail to make timely payments on the lease, the creditor will have the right to repossess the vehicle, just like before you filed for bankruptcy, and can sue you for the amount you still owe on the lease contract. If you indicate on the Statement of Intention that you wish to reject the lease, you are letting the creditor know that you don’t intend to continue paying on it. Your creditor might file a motion asking the court to lift the automatic stay or wait for the automatic stay to expire and then repossess the car. If you reject the lease, you will not be held responsible for any further installment payments or fees such as those for mileage or damage. When rejecting a car lease might be a good idea. If you are having trouble keeping up with your lease payments or have high mileage or damage that will result in fees at the end of the lease, rejecting the lease might be a good option for you since you can turn the car in without further payments or liability. If your Chapter 13 Plan and the Order Confirming it did not provide that you would "assume" the lease then you should be fine. Good catch, thanks for your expertise.